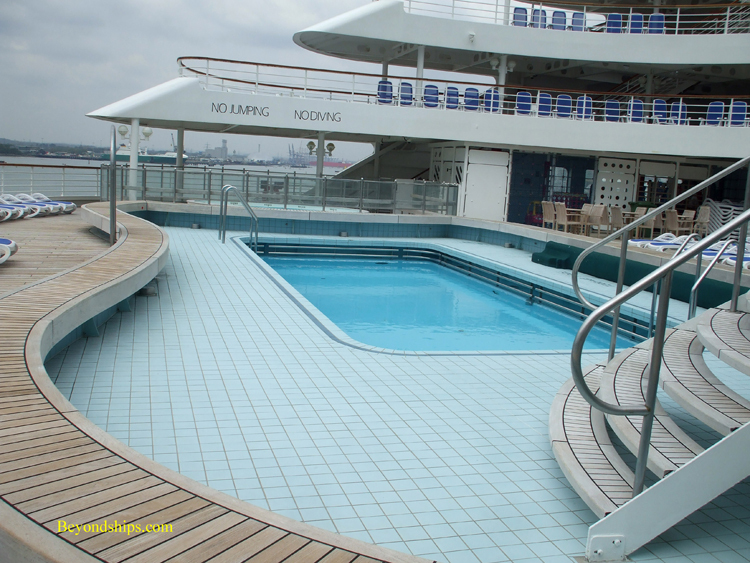 Oriana has three outdoor swimming pools. 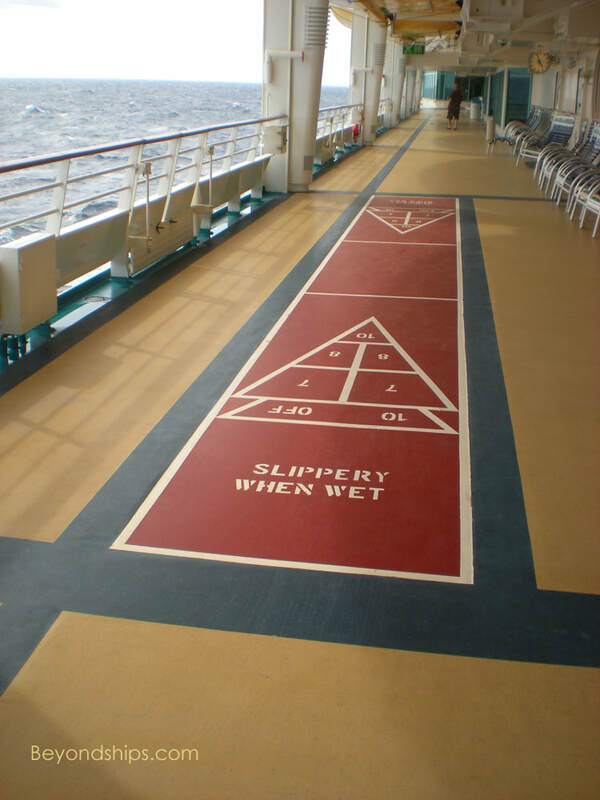 The furthest forward of these is the Riviera Pool. 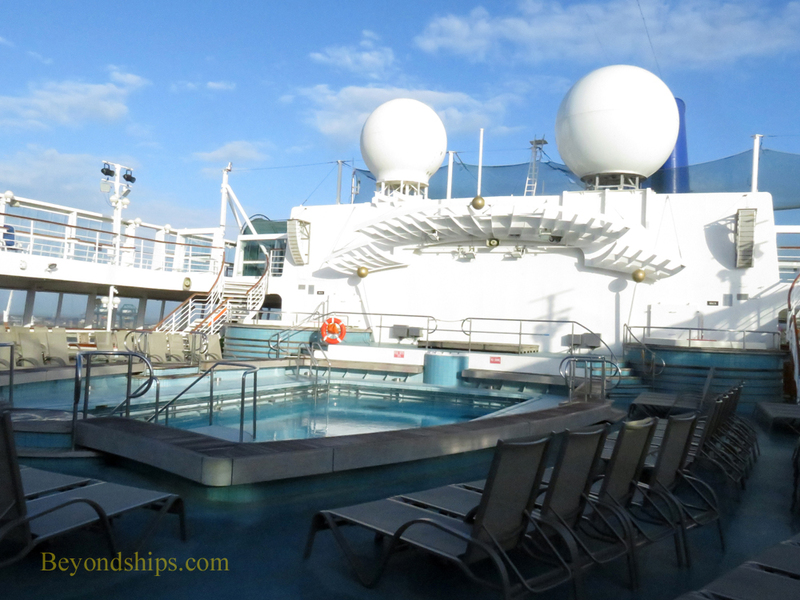 In addition to the pool itself, this area has a bandstand, two whirlpools, its own bar, and deck chairs. 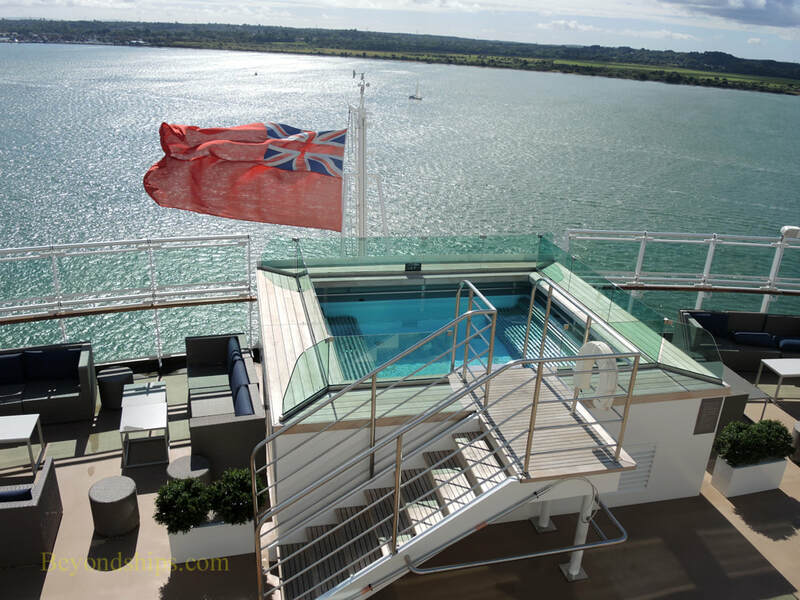 Going further aft, one comes to the Crystal Pool. 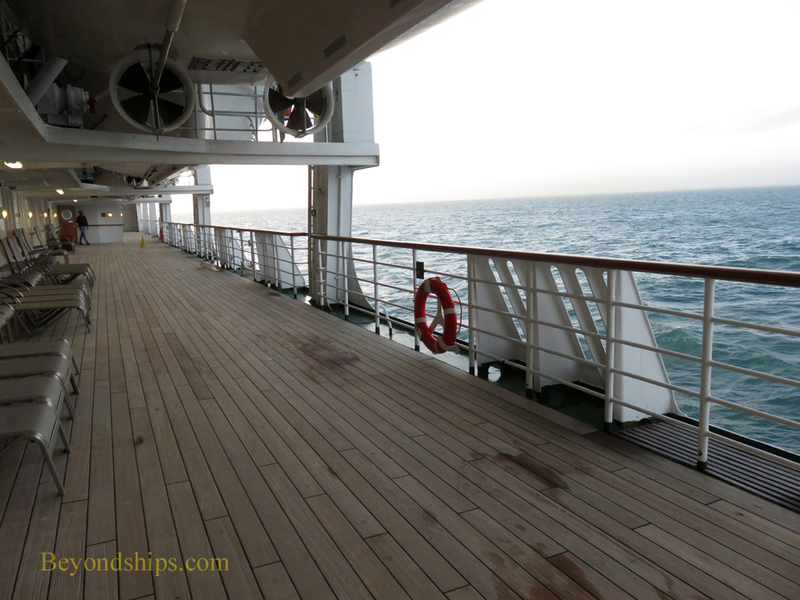 As in the Riviera Pool area, Sun Deck, which is immediately above Lido Deck, runs around the perimeter of the area. 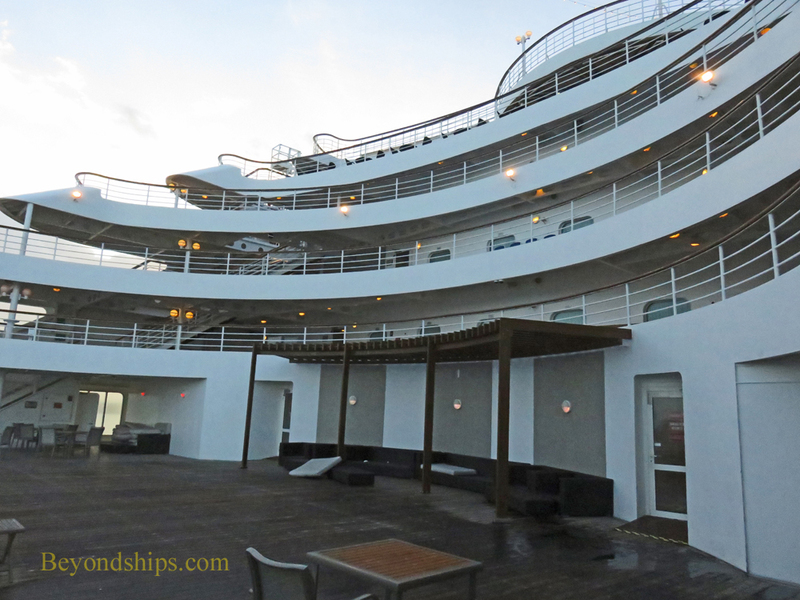 This arrangement protects the pool area from the wind, provides a shaded area near the pool and another tier of deck chairs convenient to the pool area. 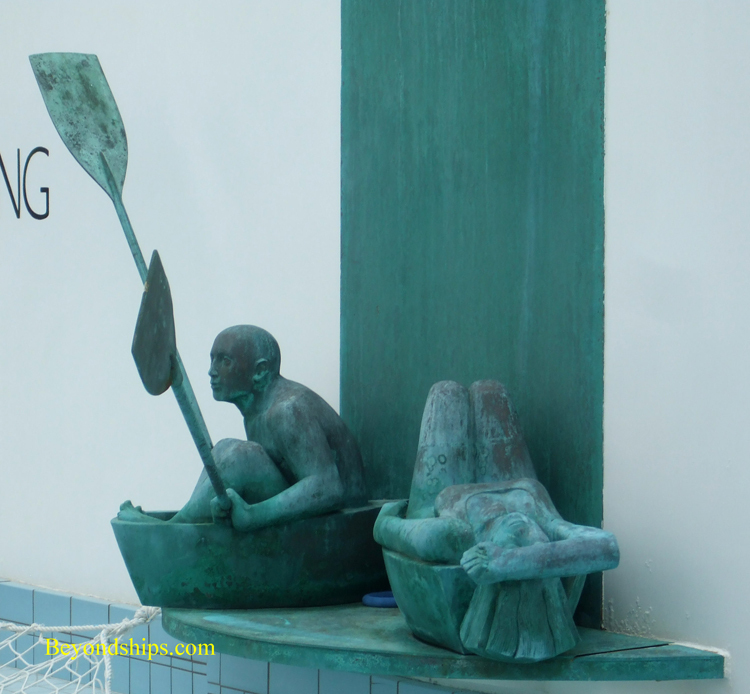 At one end of the pool is a bronze sculpture by Andre Wallace. 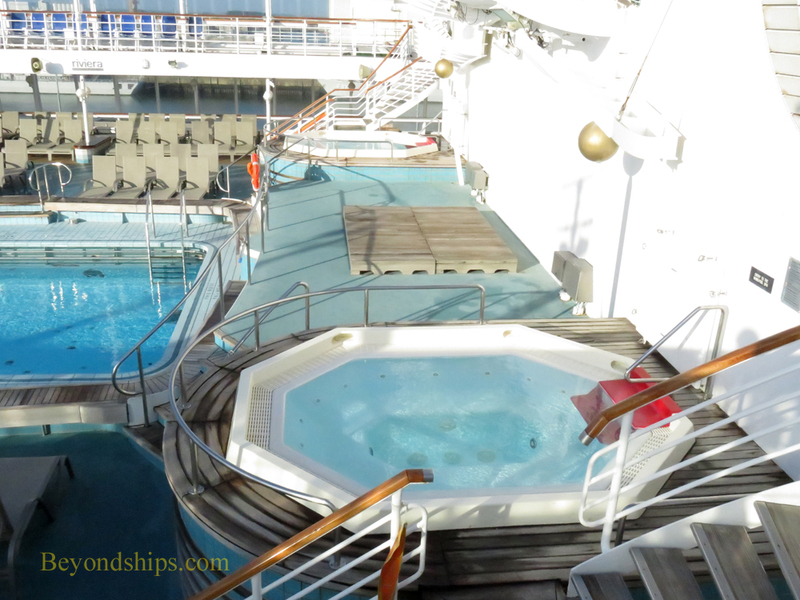 The Terrace Pool is at the stern at the base of Oriana's tiered superstructure. It has its own whirlpool. 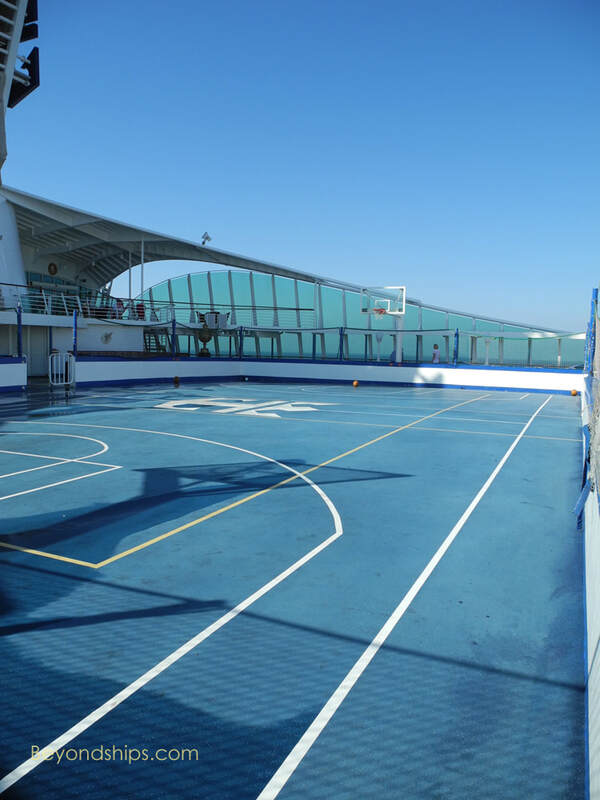 ​In addition to pools and sun loungers, Oriana's open deck facilities include a sports court, golf nets, shuffleboard and teak promenades.